This blog reported in 2017 that Jorge Bergoglio ("Pope" Francis) participated in--and continues to promote--pagan "life-force channeling", known as Reiki. He had consulted with, and used, a pagan Taoist monk named Liu Ming (See http://introiboadaltaredei2.blogspot.com/2017/12/francis-and-dark-side-of-force.html). I was castigated in the comments by a Vatican II sect apologist who claimed that I "inferred things," and that Traditionalists "spin everything" against the false pope. Not only have later developments proven me correct, but now His Wickedness is openly involved with yoga and transcendental meditation ("TM"). The Vatican II sect openly promotes yoga, and earlier this year, the Modernist Vatican held a Conference to "unite people without prejudice to stimulate an open dialogue and catalyze an interdisciplinary approach to tackle major health care challenges around the globe." (Remember when the Vatican had a real pope and they were concerned for the health and salvation of souls?). Not only did Bergoglio invite the scum of the Earth ( pro-abortion and pro-sodomite former U.S. Vice-President Joe Biden), but he invited Satanic pop-star Katy Perry to talk about TM, and former physician turned occult guru Deepak Chopra to deliver an address. This post will expose the evil embodied in Perry and Chopra, as well as the inherently occult practices of yoga and TM. Katy Perry is an example of perversity on parade. Born Katheryn Hudson on October 25, 1984, she is seen as wholesome because her father was a Pentecostal minister and she grew up on Gospel music. Her first album was Christian music. Then, she claims in an interview, "When I was 15, because I grew up in a household where all I ever did was listen to gospel music…. 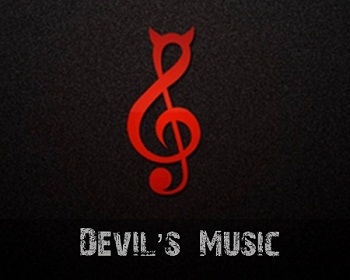 I swear I wanted to be, like, the Amy Grant of music, but it didn’t work out, and so I sold my soul to the devil." Her first big hit after selling her soul was I Kissed a Girl, which is about a lesbian encounter. Later her own father would break down in tears over her choice to serve Satan. 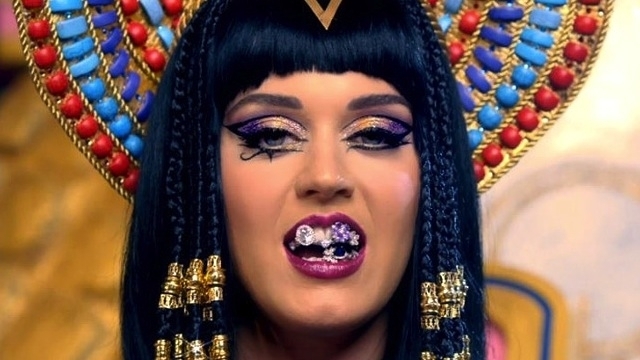 He would later acknowledge, as she did earlier, that Perry is doing Satan’s work, exclaiming, “My girl Katy Perry is a devil child.” He stated, "I was at a concert of Katy’s where there were 20,000. I’m watching this generation, and they were going at it. It was almost like church,” Keith said. “I stood there and wept and kept on weeping and weeping. They’re loving and worshiping the wrong thing.” (See http://www.thesun.co.uk/sol/homepage/showbiz/4911473/katy-perry-preacher-father-in-devil-child-rant.html). Perry received the Human Rights Campaign’s "National Equality Award" for her "LGBT" sodomite-perversion activism in March 2017. "Truth be told, I did more than that," Perry proclaimed as she discussed her song I Kissed a Girl after getting the award. (See https://www.youtube.com/watch?v=CBjN4DgDLCc). She told Glamour Magazine she would re-write the 2008 pro-lesbian song to make it even more perverse, "We've really changed, conversationally, in the past 10 years...We've come a long way. Bisexuality wasn't as talked about back then, or any type of fluidity. If I had to write that song again, I probably would make an edit on it. Lyrically, it has a couple of stereotypes in it. Your mind changes so much in 10 years, and you grow so much. What's true for you can evolve. "(See https://www.glamour.com/story/katy-perry-would-rewrite-i-kissed-a-girl-video). An ardent supporter of murdering unborn children, Perry donated $10,000 to Planned Parenthood. In the video "Bon Appétit," Perry is cooked by chefs and offered as a meal to a party of elite guests as the main course. The video ends with Perry about to eat a pie containing body parts of the guests. It is a gruesome tribute to cannibalism, another occult/pagan practice. Katy Perry was invited to speak on the topic of TM; more on that below. Born in India (1946), Deepak Chopra completed studies in medicine before coming to the United States to complete his residencies in Internal Medicine and Endocrinology. In 1985, he became involved in the TM movement, studying directly under Maharishi Mahesh Yogi (d. 2008), the founder of the movement. He left medicine to promote occult/New Age alternative medicine and began writing books. After appearing on Oprah in 1993, his career took off. He has written extensively (approx. 50 books), including yoga and meditation. His 2008 book, The Third Jesus, exposes his false and blasphemous teachings. He tells us the "first Jesus" is the historical Christ Who is fictitious and Whom we must leave behind. The "second Jesus" is comprised of interpretations of both Biblical sayings of Christ, and false sayings from the Gnostic gospels which are false and uninspired writings. The "third Jesus" is (no surprise) a New Age guru because, he tells us, Christianity has not only failed to help people follow Christ, it has created a false Christ who keeps Jesus’ true intentions hidden. Jesus is a spiritually advanced being who provides an example for us to achieve our own "spiritual evolution." He is often compared to, or paired with, Buddha. Thus, Chopra insists, "the Christian seeker who wants to reach God is no different from the Buddhist. Both are directed into their own consciousness" (Third Jesus, 87). Jesus death on the cross and his Resurrection are of little or no importance. Thus, a significant part of the Gospels (roughly a quarter of those texts) is simply ignored or dismissed as unimportant. Extra-biblical documents, especially Gnostic texts, are used and regarded as authentic sources for the life of Jesus. Bible passages are given esoteric interpretations that contradict orthodox understandings, as well as historical facts. What is are pagans/occultists doing with Bergoglio? Pushing TM and yoga! Millions of Americans (and countless millions more worldwide) practice yoga. Vatican II sect churches promote it, and conduct classes on their property. Yoga is perceived by most people to simply be another form of exercise. Many fool themselves into thinking that you can adopt the physical aspects of yoga divorced from its religious roots. This is simply false. It can be said that there is no Hinduism without yoga and no yoga without Hinduism. Yoga influences and has been influenced by Buddhism and Jainism; that's three pagan religions. These facts strongly suggest that yoga is primarily spiritual in nature, which is the explicit understanding of its Eastern practitioners, and many Western devotees. Yoga is synonymous with Eastern meditation and pantheism, the idea that reality is identical with Divinity, and that all-things compose an all-encompassing, immanent "god." The goal of the yoga practitioner is to unify himself/herself with the "Divine-self" or "God-Self." Through yoga meditation, the person tries to lose contact with the conscious mind for an altered state of consciousness. This disassociation is meant to allow a person to become "one" with "the Divine." Even those who do not get to such altered states, have unwittingly opened themselves up to a decidedly pagan worldview and possible demon possession. The idea of being "divine" is the opposite of Christianity which tells us we are sinners in need of Redemption by the God-Man Jesus Christ. When yoga techniques are labeled as "relaxation techniques" or "ways to reduce stress," it is misleading. Traditionalist Catholic meditation is the conscious, focused, reflective, cognitive attention to God, such as when one meditates on the mysteries of the Most Holy Rosary. Yoga meditation results in an altered state of consciousness; really a form of self-hypnosis. 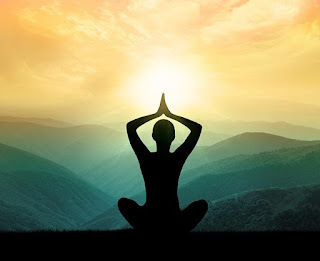 Transcendental Meditation (TM) is a veiled form of Hindu yoga, though it claims to be a religiously neutral method of relaxation and rejuvenation. Initiates to TM receive a mantra (Hindu holy word) to repeat while sitting in yogic postures and engaging in yogic breathing. The goal is to find God within their own beings, since God (Brahman) and the self (Atman) are really one. In the 1960's Maharishi Mahesh Yogi came to the United States, which was then torn by race riots, drug abuse and a rapidly deteriorating youth scene. He began to lecture on the merits of TM as a "scientific" answer to all spiritual and mental ills of humanity. Immediately, he was hailed a "savior" who was bringing the exact answer at the right time. Yoga nad TM caught on. When he died in 2008, his foundation for TM in the U.S. was worth an estimated $300 million. "With the present diffusion of eastern methods of meditation in the Christian world and in ecclesial communities, we find ourselves faced with a pointed renewal of an attempt, which is not free from dangers and errors, to fuse Christian meditation with that which is non-Christian... These and similar proposals to harmonize Christian meditation with eastern techniques need to have their contents and methods ever subjected to a thorough-going examination so as to avoid the danger of falling into syncretism." A "danger of falling into syncretism"? Too late. Syncretism, or the attempt to fuse together different belief systems, already took place at Vatican II. The term "ecclesial communities" belies the false ecclesiology of Vatican II where all religions are more or less good. As stated in the heretical document Nostra Aetate, "Thus in Hinduism, men contemplate the divine mystery and express it through an inexhaustible abundance of myths and through searching philosophical inquiry. They seek freedom from the anguish of our human condition either through ascetical practices or profound meditation or a flight to God with love and trust...The Church, therefore, exhorts her sons, that through dialogue and collaboration with the followers of other religions, carried out with prudence and love and in witness to the Christian faith and life, they recognize, preserve and promote the good things, spiritual and moral, as well as the socio-cultural values found among these men." (para. #2). Furthermore, how does something innately pagan get "subjected to a thorough-going examination"? What does that even mean? Telling people yoga and its Eastern meditation (TM) are in any way "Christian" is more than "stretching the truth," it's an outright lie. How will "Recognize and Resistors" (R&R) and Vatican II sect apologists spin this one? Bergoglio invited pro-abortion, and pro-sodomite occultists to the Vatican. They were there in order to promote pagan yoga and TM which open people to demonic forces and advances a pagan worldview. Can anyone with a straight face say, "He didn't know?" A couple of years ago, Frankie said that yoga "has no answers." However, his actions speak louder than his nebulous words. Bergoglio is no pope. No Vicar of Christ would do this; he is advancing the revolution of Vatican II. That revolution wants a world devoid of Christ and His One True Church. In this time of the Great Apostasy, there are many Traditionalists who are not fully aware (or who have false beliefs) regarding a great source of graces; the sacramentals. The word sacramental first appeared in the 12th century, and was used by theologians of the time in a very general sense. The devout pronunciation of the Most Holy Name of Jesus, and giving alms to the poor were considered "sacramentals." The same designation was given to the conferring of the white garment in Baptism, which was later called by the proper title of a ceremony. All theologians since the time of the Council of Trent use the term sacramentals to designate a class of sacred things, instituted by Christ's One True Church, that are, in some respects, similar to the Sacraments. The Church has given Her official approval by defining sacramentals in Her Code of Canon Law: "Things or actions which the Church is accustomed to use somewhat after the manner of Sacraments, to obtain by Her prayer, effects, especially of the spiritual order." (See 1917 Code of Canon Law, Canon 1144). The Modernists and Protestants deride sacramentals as "superstition" as they eschew not only the miraculous, but much (if not most) of the supernatural order. On the other end, there are some Traditionalists who actually do make the sacramentals into something superstitious by ascribing to them powers they do not possess. The pseudo-Traditionalist Dimond brothers actually used to tell people that it was impossible to go to Hell if you died wearing the Brown Scapular! They eventually recanted such a ridiculous position. The purpose of this post is to give the authentic teaching of the Church on sacramentals. All the information is condensed and from, and credited to, theologian Connell in his most informative work The Sacramentals, The Paulist Press, . The Sacraments are exactly seven in number and were all instituted by the historical Person of Our Lord Jesus Christ for the salvation of the human race (although all seven Sacraments are not necessary for each individual). The sacramentals are numerous, and have no limit since they are of Ecclesiastical institution. Only the Holy See may institute a sacramental (Canon 1145). The manner in which sacramentals confer grace is markedly different as well. Sacraments confer graces ex opere operato (i.e., loosely translated "by virtue of the action," means that the efficacy of the action of the Sacraments does not depend on anything human, but solely on the will of God as expressed by Christ's institution and promise). Theologians do not agree as to whether the sacramentals may confer grace ex opere operantis (i.e.,through the action of the one who uses them). Those who hold the negative opinion argue that as the Church cannot confer sanctifying grace nor institute signs thereof, neither can she institute efficacious signs of the other graces which God alone can give. The sacramentals do not infallibly produce their effect, as do the Sacraments. However, sacramentals have a special efficacy of their own. If their whole value proceeded from the the action of those who use them, all external good works could be called "sacramentals," but such is not the case. The special virtue recognized by the Church and experienced by Catholics in the sacramentals should consist in the official prayers whereby the Church implores God to pour forth special graces on those who make use of the sacramentals. These prayers move God to give graces which He would not otherwise give, and when not infallibly acceded to, it is for reasons known only to His Perfect Wisdom. God is aware of the measure in which He should bestow His gifts. Many theologians teach that the disposition of the person using the sacramentals can open them to receive even more graces. Sacramentals may be classified under three general categories: exorcisms, blessings, and blessed objects. Each will now be considered. 1. Exorcisms. An exorcism is a command, given to the devil and his demons, ordering them, in the name of God, to depart from some person, place, or thing. Holy Scripture, Sacred Tradition, and the teaching of the Church testify conclusively that God sometimes permits the fallen angels to exercise a certain influence over the doings of humanity. This may even go so far as taking up their abode in the body of a living person, which is known as diabolical possession. When the demons hurt people from without, their activities are known as diabolical obsession. The purpose of the Church's exorcisms is to compel Satan and his evil cohorts to desist from their malicious interference in human affairs. By employing exorcisms, the Church is acting after the example and by the authority of Her Divine Founder Jesus Christ, Who during His earthly life frequently cast out demons from possessed persons (See e.g., St. Matthew 8:28; 9:32). Christ also commissioned His Apostles, and their successors, to do the same (See St. Matthew 10:8). A considerable number of exorcisms are found in the Church's liturgical books. Some of these are for ordinary use in sacred functions, such as those used in the preparation of Holy Water. Other, most solemn exorcisms, are meant only for established cases of diabolical possession or obsession. Only priests and bishops can perform exorcisms. One of the four Minor Orders a man receives on the way to becoming a priest, is the order of Exorcist, which constitutes him an official minister of the Church's exorcisms. This, along with the other three Minor Orders, and the Major Order of Subdeacon, were all abolished in the Vatican II sect by command of Montini ("Pope" Paul VI). 2. Blessings. A blessing is a prayer that draws down God's favor on some person or thing. The Church has established two kinds of blessings: constitutive and invocative. A constitutive blessing is one that makes a person or a thing sacred (i.e., dedicates a human being or an inanimate object in a special way to the service of God). Such are the blessing of a monk when he is raised to the office of abbot, the blessing of a Rosary, and the blessing of Holy Water. The more solemn forms are called consecrations, such as the consecration of a Church or Chapel by a Bishop. An invocative blessing is one that obtains the Divine assistance for those on whom it is pronounced without rendering the person or thing as sacred. Such a blessing can be imparted to a person directly or indirectly. An example of a direct invocative blessing is the blessing of the throats in honor of St. Blaise on February 3rd. This does not make the person or his throat sacred, but asks Divine protection against ailments of the throat. An example of an indirect invocative blessing is the blessing of a house, which does not make the house sacred, but invokes God's favor on those who dwell within it. Holy Mother Church has a maternal interest in all facets of our lives which is why we find so many and diverse blessings in the Rituale Romanum, the book which prescribes all the rites for the Sacraments and sacramentals. The ordinary minister of blessings is a priest, but for consecrations, a bishop is usually necessary. Making the sign of the cross, one of the oldest and most efficacious blessings, can be bestowed upon anyone who does it devoutly to himself/herself. 3. Blessed Objects. The third category of sacramentals comprises objects that have been blessed with a constitutive blessing. 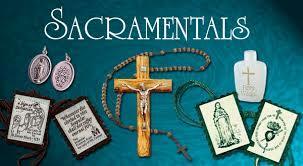 This includes Holy Water, Rosaries, scapulars, statues, medals, pictures, oils, cords, and the like. An object that receives a constitutive remains sacred until it has been destroyed or substantially altered. Thus a Church or Chapel is no longer consecrated if the greater portion of the walls collapse. A blessed candle's drippings are not sacred, nor is a chalice that has been melted down. To be beneficial as a sacramental, the blessed object must be used devoutly and not for secular purposes. There is no merit bestowed on one who wears a crucifix merely as an ornament, or hangs up a blessed picture due to its aesthetic value. In case of necessity one can used a sacred object for a profane use, e.g., to use blessed candles during a blackout if no regular candles are available. However, to use such candles for decorative purposes while dining would be a sin of sacrilege. Besides possessing value as sacramentals, blessed objects are often enriched with indulgences. The indulgences attach whenever the object has been properly blessed according to the Rituale Romanum by a validly ordained priest. One interesting exception are scapulars. Once a person has been duly enrolled by a priest in the five-fold scapular, any subsequent scapular need not be blessed (five-fold, or any of the individual scapulars that comprise it). Merely be wearing it, the enrolled person makes the scapular efficacious. The sacramentals cannot impart graces directly to the souls of people. That power is only to be found in the Sacraments. The sacramentals produce their effects indirectly through (a) the disposition of the recipient, and (b) through the prayers of the Church. By making pious use of sacramentals, a person animates himself with pious sentiments. For example, by gazing on the crucifix, we can bring forth sentiments of love for God and sorrow for sin. By virtue of these sentiments, we can render ourselves worthy to receive from God some favor in the spiritual or material order. The sacramentals possess special efficacy from the prayers of the Church. The One True Church, the Mystical Body of Christ, is ever pleasing in the sight of God. Consequently, the prayers and good works of the Church as a perfect society are most powerful to obtain Divine favors. In establishing the sacramentals, the Church promises to join Her own prayers and the intercessory value of Her good works to the dispositions of those who devoutly employ these sacred things and actions. Thus, whenever a person devoutly uses a sacramental, the most pleasing prayers of the Church are directed to God for him or her, and that is what gives sacramentals their special spiritual value. 1. The dedication of a person or a thing to God. This effect is produced by constitutive blessings and consecrations. 2. The repression of evil spirits. This is particularly true of exorcisms; but it is also produced by other sacramentals, most notably, the sign of the cross, Holy Water, the St. Benedict Medal, and the St. Benedict Crucifix-Medal. 3. Actual graces. In consideration of the disposition of the person, and especially because of the prayers of the Church attached to its use, God imparts to the user actual graces, whereby he is empowered and urged to perform supernatural acts of virtue. Unlike the Sacraments, the sacramentals have not the power of conferring sanctifying grace. However, sacramentals can lead to the attainment of sanctifying grace. If a sinner prays the Rosary devoutly, he may receive an actual grace which enables him to make an act of perfect contrition, and thereby merits sanctifying grace. The actual graces may also prevent someone from losing sanctifying grace through mortal sin. 4. The remission of venial sin and of the temporal punishment due to sin. By the devout use of sacramentals, a person is led to perform acts of virtue that contain, at least implicitly, a detestation of his minor transgressions. Through these acts, the person obtains from God the remission of these sins, and also a remission of some portion of the temporal punishment due to them. 5. Temporal favors. The primary end of the sacramentals is the spiritual health of the soul. Nevertheless, it is lawful to use sacramentals for temporal favors such as good health and success in business, etc. The Church has established the sacramentals for Her members, first and foremost. To receive the full measure of of their effects the Traditionalists who use them should be in the state of sanctifying grace. However, those not in the state of grace may use sacramentals with profit as it may turn the sinner away from sin and to God's friendship once more. In Her zeal for saving souls, the Church extends the use of sacramentals to those outside the Church (unless there is a positive prohibition to the contrary). Hence, blessings and exorcisms may be used on non-Catholics. In giving Her blessings to non-Catholics, the Church prays most especially that they may enter the One True Church. (See Canons 1149, 1152). The Church excludes from the benefit of sacramentals those who are excommunicated and under the ecclesiastical censure known as personal interdict. Also excluded are those who, without the necessary and proper dispensation, and conscious of their sin, have contracted a mixed marriage (See Canons 2260, 2275, and 2375). Only exorcisms may be pronounced over those excommunicated (See Canon 1152). In using sacramentals, two extremes are to be avoided. On the one hand, no one should despise them as something superstitious or intended for use by "ignorant people" as the Modernists hold. On the other hand, people must not view them as endowed with miraculous power or having infallible powers against temporal evils. The primary purpose of sacramentals is spiritual, not temporal. Hence, one who has received the St. Blaise blessing may die from a disease of the throat. One wearing the scapular may drown. Neither the scapular, nor any other sacramental will save you from Hell if you are in unrepentant mortal sin, or die as a non-Traditionalist Catholic. In this time of the Great Apostasy, make use of all the sacramentals you can: the Rosary, the five-fold scapular, statues, St. Benedict Crucifix-Medal, the Cord of St. Joseph, the Cord of St. Philomena, medals of your patron saint, Holy Water, St. Joseph oil, the Green Scapular, etc. However, let them be incentives to piety, and do not deceive yourself that you can live as you please and expect God's grace. To quote from the Second Council of Baltimore in 1866: "Let them especially reprehend those who use these sacred things [sacramentals] like charms, such as the heathens have, to preserve them from the wrath of God even when they are sunk in the mire of the most hideous vices." The Traditionalist bugbear that everyone of the faithful will hear at some point, is that Masonic clergy or an "unstable" prelate within the Catholic Church, lacked the proper intention to confer Holy Orders when they ordained/consecrated priests and bishops to continue the True Church after the Great Apostasy of Vatican II. The logical result is that any Traditionalist priests who were ordained by these bishops, or by other bishops who derive their episcopal orders from them, are dubious and must be avoided. Your only choice is to be a Home Aloner or find some elderly priest ordained pre-1968. All Traditionalist priests come from one of three episcopal lineages: (1) Archbishop Peter Thuc, (2) Archbishop Marcel Lefebvre, and (3) Bishop Alfred Mendez. The enemies of the Faith calumniate each of them. Abp. Thuc and Bp. Mendez (so we are told) were either senile or "unbalanced" and couldn't have had the proper intention for a valid conferral of a sacrament. Abp. Lefebvre was ordained and consecrated by an alleged Mason who supposedly withheld his intention on purpose to destroy the Church, which resulted in the Archbishop remaining as a mere deacon. Recently, I saw a website putting quotations around all Traditionalist clergy titles (e.g., "Fr."). I have dealt with the issue of Archbishop Lefebvre before; See http://introiboadaltaredei2.blogspot.com/2016/05/doubting-yourself-in-extreme.html; see also http://introiboadaltaredei2.blogspot.com/2016/08/sophistry-on-steroids.html. In this post, I will try to deal concisely with the objection to lack of intent. Once Church teaching has been set forth, the case against Traditionalist orders on such specious grounds will melt away. A sacrament is a visible sign of an invisible grace, instituted by Jesus Christ for the salvation of the human race; however, not all sacraments are necessary for each individual. There are four indispensable requirements to confect (i.e. "make") a valid sacrament: proper administer who uses proper matter, form, and has the intention to do what the Church does. The administer (or "minister") must be the person who can perform the sacrament (e.g., a priest for Penance and a bishop for Holy Orders). The matter is the sensible sign that must be used (e.g. bread and wine at Mass). The form is the necessary words that must be used by the minister of the sacrament as he applies the matter (e.g., saying "THIS IS MY BODY" over the bread at Mass). Finally, the minister must intend to do what the Church does while applying the matter and form. (See theologian Pohle, Dogmatic Theology, 8:59-60). Self-styled "theologians" call into question the last requirement: the intention to do what the Church does. What Constitutes A Proper Intention? Why must the minister of a sacrament have an intention? God will not force anyone to do something. The minister of a sacrament must have free will, and therefore be able to perform a rational, human act. According to theologian Ott, "The human minister is a creature endowed with reason and freedom. The act involved in the execution of the administration of the Sacrament must therefore be an actus humanus [human act], that is, an activity which proceeds from understanding and free will. "(See Fundamentals of Catholic Dogma, pg. 343). Again, theologian Davis teaches, "That he [the minister of a sacrament] must have some intention is clear from the fact that he is to act as a rational agent, and to act rationally some intention is necessary" (See Moral and Pastoral Theology, 3:16; words in brackets mine). To be valid, a virtual intention is at minimum necessary. According to theologian Davis, "... virtual intention suffices, for this suffices for a human act, and therefore for the sacramental act." (See Moral and Pastoral Theology, 3:17). According to theologian Ott, a virtual intention is "that disposition of the will, which is conceived before the action and which continues virtually during the action." (See Fundamentals of Catholic Dogma, pgs. 343-344). In simple terms, it means that we can perform an intended act while being distracted. When I drive to work, I intend to drive, but I'm distracted by a phone call from a client on my bluetooth. I don't specifically remember all the details of driving, but it was a human act of a rational agent who wanted to drive but was distracted while continuing to (and wanting to) drive. Some attention is necessary in conferring the Sacraments as in every human act. In internal attention, there is usually full advertence to what one does. So much is, obviously, not necessary, for we do many things and act in a human way without this advertence. A lesser degree of attention is therefore sufficient and this is called external attention, which, though internal in itself, is very vague, but is sufficient to carry us through a human act, provided we do nothing that is incompatible with a full internal attention if it were suddenly required. It would be an error to call this act purely automatic. Such external attention is present when one assists at Mass without conscious advertence to what is going on, but at the same time without engrossing the mind with things that are not compatible with true attention to Mass. It is possible, for example, to recite the Rosary and attend to Mass; it is not possible to concentrate the mind on an abstruse mathematical problem and at the same time to attend to Mass. This kind of external attention, as it is called, is sufficient in prayer, in reciting the divine office, in hearing Mass, in receiving the Sacraments, and in conferring them. It is not necessary, therefore, to have actual attention to what is being done in conferring the Sacraments, but as some attention is necessary in every human act, the most that can be required is that amount and degree of advertence to what we do which is not incompatible with what we do. (See Moral and Pastoral Theology, 3:20). What must the administer intend, exactly? You must intend to do what the Church does, not intend to do what the Church intends. According to theologian Ott, "The minister... does not need to intend what the Church intends, namely, to produce the effects of the Sacraments, for example, the forgiveness of sins; neither does he need to intend to execute a specific Catholic rite. It suffices if he have the intention of performing the religious action as it is current among Christians [i.e., Catholics]. (See Fundamentals of Catholic Dogma, pg. 344; word in parenthesis mine). "A person who has correctly and seriously used the requisite matter and form to effect and confer a sacrament is presumed for that very reason to have intended to do what the Church does." (Papal Bull Apostolicae Curae ). According to theologian DeSalvo, "As long as the lack of proper intention is not externally manifested, the Church presumes that the intention of the minister is correct." (See The Dogmatic Theology on the Intention of the Minister in the Confection of the Sacraments, , pg. 105). The theologian Leeming says this passage of Pope Leo XIII above recapitulates the teachings of previous theologians who "...all agreed that the outward decorous performance of the rites sets up a presumption that the right intention exists.… The minister of a sacrament is presumed to intend what the rite means… This principle is affirmed as certain theological doctrine, taught by the Church, to deny which would be at least theologically rash." (See Principles of Sacramental Theology , 476, 482.). The reason for this principle is clear: Divine Providence will prevent the Church from defecting. While we can never know with absolute certainty (without Divine revelation) if any particular sacrament is valid, we have moral certainty, and the assurance that the Church will continue. Each week at Mass, you don't know if the priest tampered with the bread and or wine. You don't know if he correctly pronounced (and included) all the necessary words of Consecration. He could have done such things, but it is never to be presumed. On moral certainty, the Church allows us to adore that which looks as mere bread as Jesus Christ Himself. The reason for this presumption is spelled out by theologian Courtemanche, "...it would be monstrous for the law to presume that what the mouth speaks is not in the heart, since that would be tantamount to presuming the presence of a lie." (See The Total Simulation of Matrimonial Consent, , pg. 41). The majority of Traditionalist clergy come from Archbishop Peter Thuc (1897-1984), the former Archbishop of Hue, South Vietnam. The clergy of the Society of St. Pius V (SSPV), derive their episcopal orders from Bishop Alfred Mendez (1907-1995), the former Bishop of Arecibo, Puerto Rico. Both were in advanced age when they consecrated the bishops for Traditionalists. Abp. Thuc turned 84 in 1981 when he consecrated Bishops Guerard des Lauriers, Carmona, and Zamora. Bishop Mendez was 86 when he consecrated Bishop Clarence Kelly for the SSPV, and the bishop had recently recovered from a stroke. The first accusation against them both is that they were senile, and didn't understand what they were doing. Furthermore, Abp. Thuc had consecrated the "seers" of the phony Palmar de Troya fiasco in Spain back in 1976. Naturally, only someone "crazy" would do such a thing. It has been alleged that Bp. Mendez did some strange things--like claim that he was wearing lay clothes because "the mob was after him." He too, therefore, is "crazy." As we have seen, the Church sets a low bar, not a high one, in what is necessary for a sacramental intention. In order for the consecrations to be declared invalid due to senility, it would mean that Bps. Thuc and Mendez were so "out of it" that they didn't know what they were doing, and had no intention to do it while performing an episcopal consecration. There are numerous photos and witnesses that attest to the fact that both bishops were able to navigate the difficult, hours-long consecration ceremony and were able to pose for pictures. These are hardly the actions of someone who has tragically gone the way of former U.S. President Ronald Reagan, who had no idea who he even was towards the end of his life. 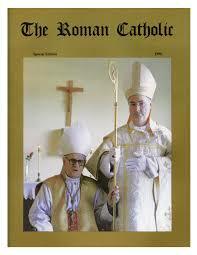 Magazine put out by SSPV showing Bp Mendez sitting next to the newly consecrated Bp. Kelly. Inside are several up close pictures of the bishop consecrating Clarence Kelly with the assisting priests. As to charges of insanity, in the case of Abp. Thuc, it was the SSPX that suggested to someone involved with the "seers" to ask Abp. Thuc to come and check out the alleged apparitions. The fact that Abp. Lefebvre did not dismiss it, and that Abp. Thuc wanted the Great Apostasy to end, can easily account for why he did something rash and foolish. Being "rash and foolish" does not equate to insanity. A proper medical authority would have to certify someone as habitually insane or suffering dementia in order to overcome a presumption of proper intention. That was never done. Abp. Thuc, going back and forth to the Modernist Vatican, makes him fickle in a time of complete confusion, not insane or unable to maintain the minimum intention for a valid sacrament. The remark by Bp. Mendez about the mob following him, takes on a whole new meaning when put in proper context. He was not as brave as a prelate should be. He would not come out publicly for the faith as did Bishop Kurz, or Abp. Lefebvre. Therefore, he would often wear street clothes when with the SSPV. When someone asked him why he wasn't wearing his clerical garb, he responded, "The mob is out to get me, and I don't want them to find me." It was sarcastic humor, not insanity, that engendered the remark. Masons and "I've Got A Bad Feeling About This"
There is one more serious charge that needs to be answered. Since I wrote about it before at length (see my two posts cited at the beginning of this post), I will be brief. No one (to the best of my knowledge and belief) calls into question the mental state of Archbishop Lefebvre. However, the Cardinal-Bishop who ordained him a priest, and later consecrated him a bishop, Archille Lienart, was a Freemason. The evidence for his Masonic membership is hardly conclusive, but ad aguendo, I will concede he was a Mason. There are those who assert that since Masons are the sworn enemies of the Church, Masonic clerics must withhold their intention and make the sacraments invalid. To demonstrate someone has withheld the proper intention, "...one must prove the existence of a positive will that excludes [the sacrament]." (See Courtemanche, The Total Simulation of Matrimonial Consent, , pg. 18). Such was the case in South America of a bishop who was strongly prejudiced against ordaining native [pueblo nativos] clergy. On his deathbed he confessed that he withheld his intention on those natives. The priest refused absolution unless the bishop agreed and gave permission for this to be told to the proper authorities. The native priests were re-ordained but NOT non-native priests. "The Church, recognizing that She can never know the internal intention of the minister, assumes it is the same as his external intention (the intention which the traditional rite provides by its very wording), unless he himself informs the Church otherwise." (See Coomaraswamy, The Problems with the New Sacraments, pg. 11 and footnote 19; words in parenthesis in original). It is an established fact that Cardinal Rampolla was a high ranking Freemason. None of his consecrations or ordinations were repeated. There were bishops consecrated during the French Revolution by Masonic bishops, and they were received back as bishops, not subject to absolute or conditional consecration. The Church considers them all valid. Roncalli ("Pope" John XIII) was most probably a Freemason, yet the priests and bishops that derive their orders from him (including Cardinal Ottaviani) are not called into question. Those who assert Masons withhold their intention (have a "positive contrary intention" by willing "I do not intend to ordain [or consecrate] this man" while performing the ceremony) are setting up an opposite presumption from the Church, i.e., your sacraments are invalid, unless proven otherwise.If the Church tells us we must presume validity, we must do so. There is no "Masonic exception" to the rule. Remember that there is a possibility that any sacrament could be invalid, but we must not fear it because we have moral certainty. If Masonic membership makes sacraments doubtful, what about Modernists and Communists? They are the sworn enemies of the Church as well, yet we would have to consider virtually every sacrament invalid based on Modernism! 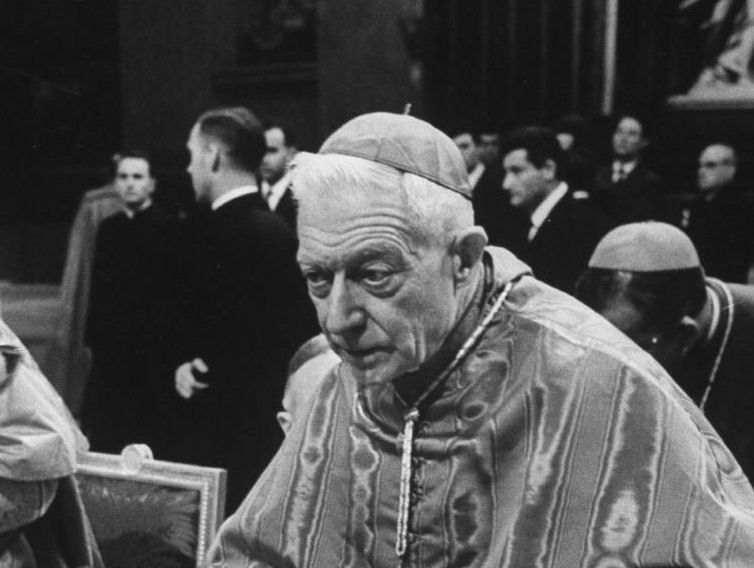 (The number of Modernists who came out at Vatican II was staggering). The objection to such bishops is not based on theology and the practice of the Church, but rather, "I've got a bad feeling about this situation." That does not suffice. Notice that even the bishop who admitted to withholding his intention on native clergy, did not state he did have the intention for non-native clergy. Did the Church ordain all of the priests "just to be safe"? No! It was presumed valid. The renewed attacks on Traditionalist clergy orders are unfounded. Traditional Catholic theology tells us we have no reason to doubt the orders that derive from Abp. Thuc, Abp. Lefebvre, and Bp. Mendez. For those who would like to read more about the consecrations of Abp. Thuc in-depth, please go to the 101 page tome written by Mr. Mario Derksen at thucbishops.com. He quotes many of the same theologians as I do in this post, but goes into much greater (and better) detail, with many more citations to relevant sources. Finally, I would like to end with this quote from theologian DeSalvo, "Christ promised that He would be with His Church until the end of the world. Although men cannot be metaphysically certain of having received the sacraments, all may, according to common sense, depend upon the fidelity of Christ's ministers in the administration of the sacraments, and according to faith rely upon the Indefectibility of the Church and her ministers as a body." (See The Dogmatic Theology on the Intention of the Minister in the Confection of the Sacraments, , pg. 106). Michael Joseph Jackson (d. 2009) was one of the most (if not the most) popular music entertainers in world history. It is not without reason he has been given the title "The King of Pop." Jackson was one of eight children born in Gary, Indiana to Joseph and Katherine Jackson. He got his start in music at age 6 in 1964 when he formed the group The Jackson 5 with his four brothers. In 1971, Jackson signed on as a solo performer with Motown Records. Within ten years, he became an icon in pop music. His videos produced for the nascent MTV remain among the most popular of all time. 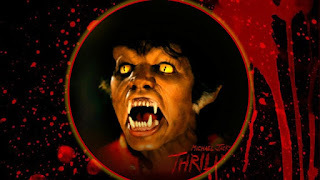 In 1982, Jackson released his sixth studio album entitled Thriller. By November of 1983 it became (and remains as of this writing) the best selling album of all time, having sold just over sixty-six million units worldwide. He holds the distinction of being the most awarded musician of all time, having garnered 13 Grammy Awards, 24 American Music Awards, and he was inducted in the Rock and Roll Hall of Fame twice. He had 13 number one singles in the United States alone, and he is the only recording artist to have a Top Ten hit in five consecutive decades. The Guinness Book of World Records lists Michael Jackson as "The Most Successful Entertainer of All Time." What is certain is that Jackson was deeply involved in New Age Occultism, which will be demonstrated next in this post. 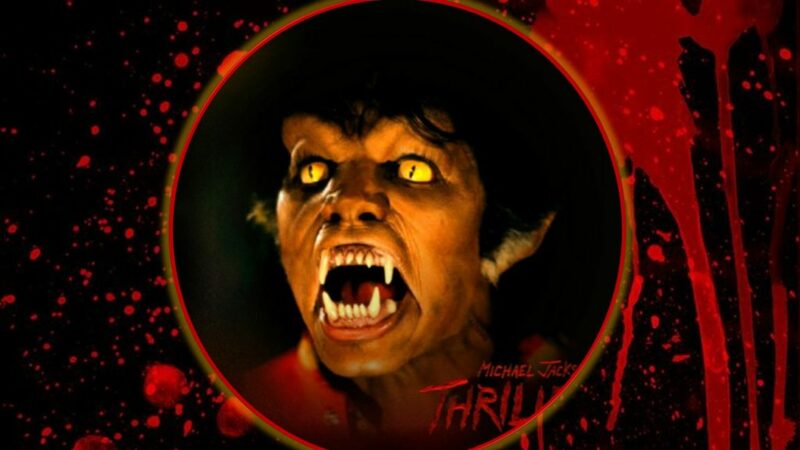 The Thriller video was one of the most violent ever seen at the time. It shows 27 acts of violence including depictions of lycanthropy (a man turning into a beast or "werewolf"), a chase scene, and an off-screen murder. The video employed actor Vincent Price (d. 1993). Price was in many horror movies and was an occultist. A self-proclaimed Wiccan, Price had an old record, now an audio book (available on Amazon.com) entitled Witchcraft Magic: An Adventure in Demonology. The chapters include "How to Communicate with Spirits," "Curses, Spells, and Charms," and "How to Make a Pact with the Devil"
Jackson began grabbing his crotch while dancing. His gestures in many performances simulated masturbation. In the song Thriller he sings, "They're out to get you; there's demons closing in on every side/They will possess you/ unless you change the number on your dial"
First Method. Let the Exempt Adept first train himself to think backwards by external means, as set forth here following. (“a”) Let him learn to write backwards, with either hand. (“b”) Let him learn to walk backwards. (“c”) Let him constantly watch, if convenient, cinematograph films, and listen to phonograph records, reversed, and let him so accustom himself to these that they appear natural, and appreciable as a whole. (“d”) Let him practice speaking backwards; thus for “I am He” let him say, “Eh ma I”. (“e”) Let him learn to read backwards. In this it is difficult to avoid cheating one’s self, as an expert reader sees a sentence at a glance. Let his disciple read aloud to him backwards, slowly at first, then more quickly. (“f”) Of his own ingenium, let him devise other methods. His song Beat It, contains the backward masked words "Believe in Satan." 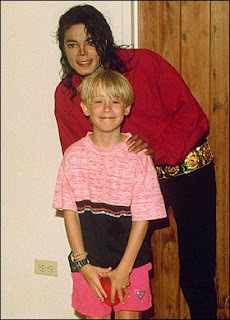 According to the New York Times there was a cult that sprung up within the Jehovah's Witnesses sect called the "MJ Cult" wherein adherents believed that Jackson was the Archangel St. Michael who was described in the Book of Daniel 12:1 as the deliverer of the people, "And at that time shall Michael stand up, the great prince which standeth for the children of Thy people." (See https://www.nytimes.com/1984/08/29/nyregion/dissent-grows-among-jehovah-s-witnesses.html) Since the JW sect thinks St. Michael the Archangel became Christ, in a very real sense, Jackson was seen as Christ by the MJ cult. He had a room with mirrors wherein he claimed to communicate with the spirit of notorious sodomite Liberace. According to Jackson, "I have my own secret room, with a moving wall and mirrors...[Liberace] is the voice I hear in there. I feel his presence very close to me. He's even given me permission to perform his theme song, 'I'll Be Seeing You.'" Liberace's ex-lover, Scott Thorson, claimed to have had an affair with Michael Jackson for an extended period during the '80s. (See https://archives.sfweekly.com/shookdown/2013/06/14/5-celebrities-whove-communicated-with-dead-musicians) He claimed that other spirits spoke to him in that room, and music was audibly communicated to him through dreams, therefore he was merely the messenger bringing these songs into the world. Known by his nickname "Jacko" in the press, Jackson's behavior soon earned him the new moniker of "Wacko Jacko." Here is just a partial list of his erratic, and downright sick, behavior. He was accused a second time of child molestation in 2002, but was acquitted on all charges after trial. Married long time friend Deborah Jeanne Rowe in 1996, had a son Michael Jr. in 1997, a daughter Paris in 1998, and divorced in 1999. He had a home and amusement park he called "Neverland Ranch" after the fictional cartoon character Peter Pan, a boy who "never wanted to grow up." We are all a part of God's great big family and the truth, you know, love is all we need. We are the world, we are the children, we are the ones who make a brighter day, so let's start giving. There's a choice we're making, we're saving our own lives, it's true we make a better day, just you and me. Send me yourt heart, so they know that someone cares and their lives will be stronger and free. As God has shown us by turning stone to bread so we all must lend a helping hand. In the sense God made us all, we are a family, but not in the egalitarian sense that God loves us in spite of our actions and apart from our beliefs. Second, Christ and His Church is what we need, not some nebulous idea of "love." Third, the song says "we're saving our own lives" but Christ says, "For he that will save his life, shall lose it: and he that shall lose his life for My sake, shall find it." (St. Matthew 16:25). Finally, God never turned stone into bread. That's how Satan tempted Christ in the desert, "Then Jesus was led by the Spirit into the wilderness to be tempted by the devil. After fasting forty days and forty nights, he was hungry. The tempter came to him and said, 'If you are the Son of God, tell these stones to become bread.' Jesus answered, 'It is written: ‘Man shall not live on bread alone, but on every word that comes from the mouth of God.'" (St. Matthew 4:1-4). Don't you know that there are better things to do? Michael Jackson was a tormented soul who sought refuge in everything except Christ and His One True Church. He was a deceiver, and his music was inspired by demons from Hell. He died on June 25, 2009 from a drug overdose. He would use propofol to sleep and had many other drugs administered by his personal physician, Dr. Conrad Murray, who was charged and convicted of involuntary manslaughter. He spent about two years in prison for giving too much anesthesia to Jackson, causing his death. Hopefully, he repented and found the True Church before his death. Only God knows. Of his music and his lifestyle, the only proper thing to do is say, "Beat it!"